Introducing Lady M, the 45-meter yacht which appeared in Martin Scorsese's Oscar-nominated film, starring Leonardo DiCaprio. 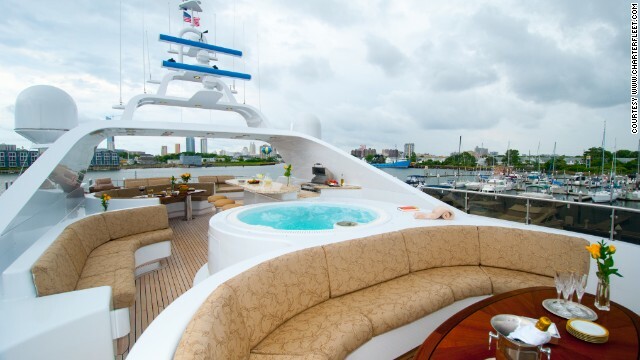 For $125,000 a week, the lavish vessel -- featuring a hot tub, 10 bedrooms and a bar -- could be yours. It's not the only movie yacht available for hire. The 56-meter Regina, pictured here in 2012 James Bond film "Skyfall," can also be chartered. You could be lounging on Regina's elegant deck -- if you can stump up $96,000 a week. "I imagine it's much like being in the presence of the actual movie star -- you will get to sit where they did, walk where they did," says Nicci Perides, editor of search site Charterfleet.com, which features Regina. Remember Demi Moore's tabletop dance for Burt Reynolds on board a lavish yacht in 1996 film "Striptease?" Now you can rent the boat. The 52-meter superyacht Big Eagle could be yours for $165,000 a week. 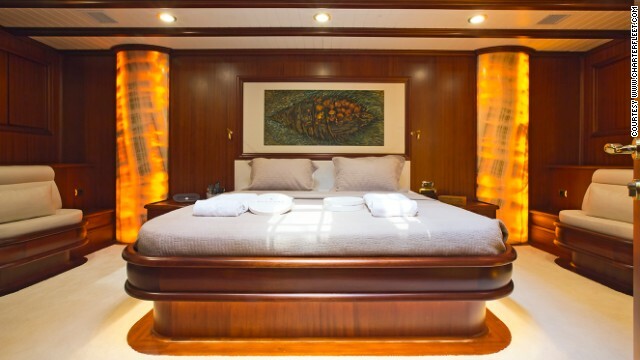 "Chartering a movie yacht adds something extra special," says Perides. "I guess it's similar to how restaurants that are frequented by A-listers are always very popular with us mere mortals." The wooden boat which ferried Katharine Hepburn and Humphrey Bogart along the Congo has been restored, now taking film buffs for cruises in Key Largo, Florida -- all for just $49. 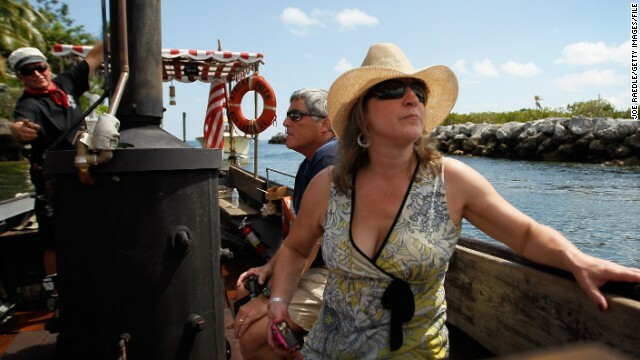 "I think the boat is as much a star of the film as Bogart was," says co-owner Suzanne Holmquist. 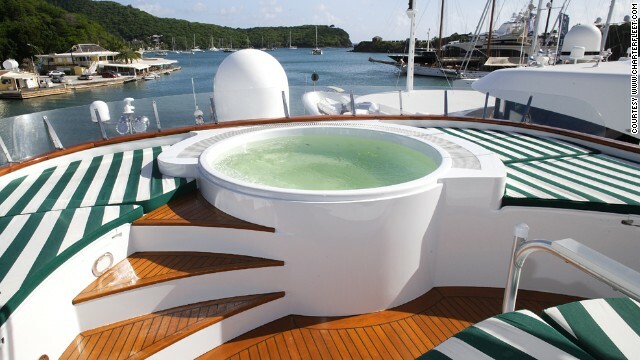 Holiday on vessels from James Bond's "Skyfall" and Demi Moore's "Striptease"
CNN's monthly MainSail show explores yachting, luxury travel and the latest in design and technology. (CNN) -- If this is one of the perks of being a crooked stockbroker, then perhaps it's not such a bad career choice after all -- just ask Leonardo DiCaprio. 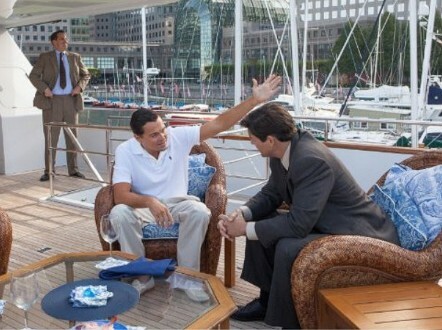 Champagne flute in one hand, lobster in the other, the Hollywood actor was the picture of outrageous excess when he played the lead role in Martin Scorsese's "Wolf of Wall Street." And the jewel in his corrupt crown? A 45-meter superyacht called Nadine. But the high life isn't just for the cinema screen. In fact, you could be sailing the seas on the very same boat that appeared in the Oscar-nominated film -- if you can stump up $125,000 a week to charter her. Mine, all mine: Fancy living like Leo onboard superyacht Lady M? 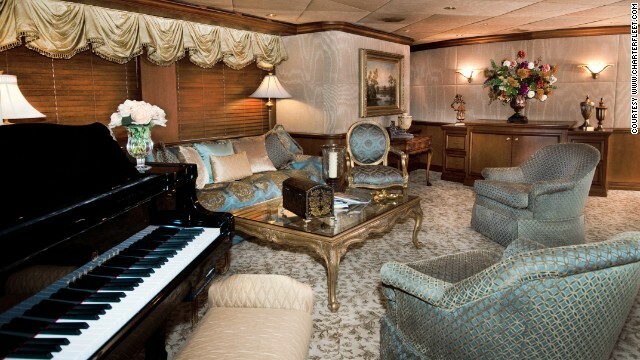 Featuring a hot tub, cocktail bar and enough bedrooms to accommodate 10 guests, the lavish vessel -- called Lady M -- was used to depict the real-life yacht owned by infamous stockbroker Jordan Belfort. In the real world, Nadine sank in 1997 after Belfort ordered the captain to sail her into a storm off the coast of Italy, while supposedly high on drugs. But if you want to retrace DiCaprio's ostentatious footsteps -- without the near-death experience -- you can now charter the yacht, which will tour the Bahamas from April. Why would someone fork out hundreds of thousands of dollars to rent such a vessel? "I imagine it's much like being in the presence of the actual movie star -- you will get to sit where they did, walk where they did, maybe even look at memorabilia if the crew were allowed to take pictures," says Nicci Perides, editor of search site Charterfleet.com, which features Lady M and other film boats. 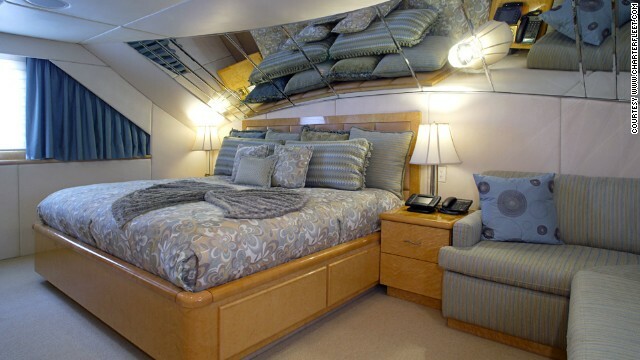 "It adds something extra special to that charter. I guess it's similar to how restaurants that are frequented by A-listers are always very popular with us mere mortals." Of course, Lady M isn't the only big-screen vessel available for hire. Fancy cruising the high seas like James Bond on a mission to save the world? 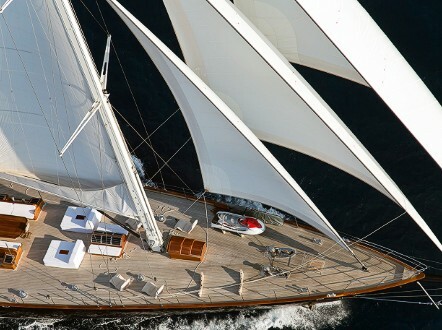 Elegant 56-meter Regina -- which Daniel Craig sailed in 2012 film "Skyfall" -- could be yours for a mere $96,000 a week. 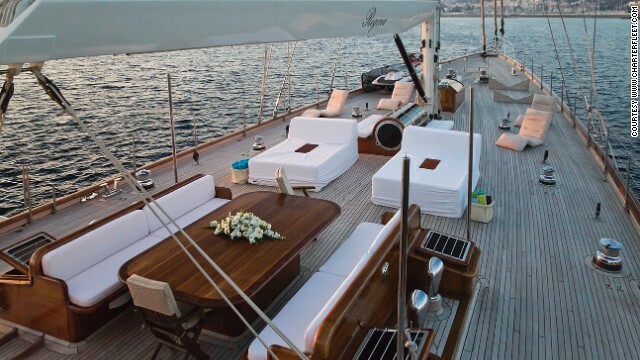 Living the life: Elegant superyacht Regina appeared in Bond film Skyfall. Then there's Big Eagle, the 52-meter yacht on which Demi Moore performed a tabletop striptease for Burt Reynolds in the 1996 film aptly titled "Striptease." What goes on in Big Eagle, stays on Big Eagle, particularly if you're paying $165,000 per week to charter it. 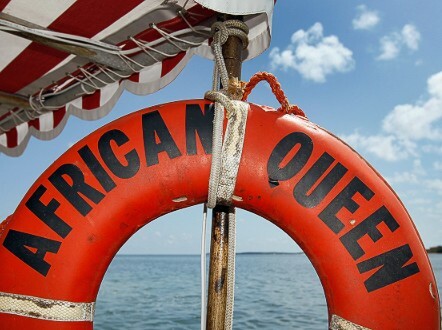 If you're looking for a big-screen boat, without the big price, then look no further than the African Queen. 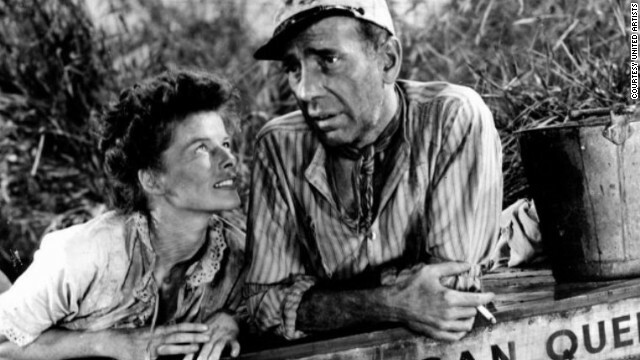 The rickety steamboat ferried film legends Katharine Hepburn and Humphrey Bogart down the Congo in the 1951 classic, "The African Queen." 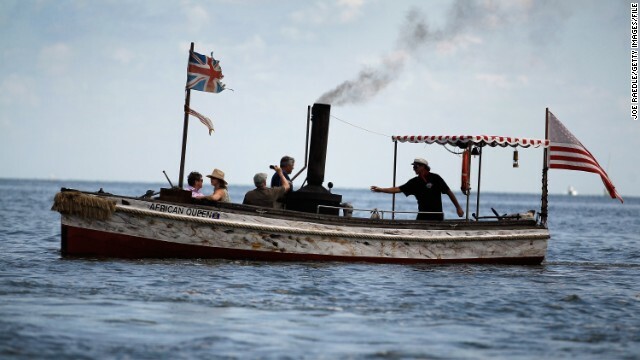 The ramshackle eight-meter wooden vessel was saved from the scrapyard almost a decade ago, and now attracts film buffs from across the U.S. for joy trips at the more reasonable price of $49. It's 60 years since "The African Queen" hit cinema screens. "People will drive eight hours to get here, just to ride her. They'll go out in rain, thunderstorms. They're just so desperate to go on-board," says co-owner Suzanne Holmquist, who runs river cruises in Key Largo, Florida. "A lot of people say it was the first movie they ever saw in theaters, so the boat means a lot, to a lot of people. I think she's as much a star of the film as Bogart was." But before a yacht even graces the big screen, it needs a dedicated team of cameramen to brave the elements. For Superyacht Media creative director Jeff Brown, that often means hanging out of a helicopter to get the perfect shot. "To get the best aerial shots you need a good pilot, it's very important. The more they understand the shot I'm after and know how to maneuver the helicopter, that really helps," he says. "There are not many restrictions, other than your imagination." 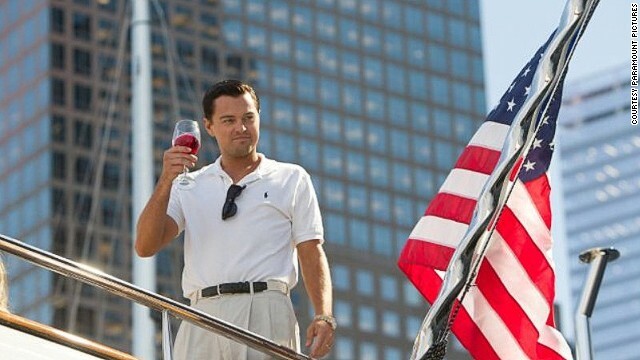 And much like the "Wolf of Wall Street," it seems the only restriction to living out your cinematic sailing dream is how much you're willing to pay. "Sometimes, I fly the drone with my head in a trash bag so I don't get salt spray from the sea on my equipment," says drone operator Justice L Bentz. If some naval architects get their way, superyachts of the future will look more like floating pieces of art than bog standard boats. This is no treasure hunt for a casket of gold at the bottom of the ocean. Navigate the world's most treacherous seas, crossing 73,000 nautical kilometers in a confined space with stressed-out, sleep-deprived crewmates. Is it a bird, or is it a ... desert boat? Over 300 miles from the nearest ocean, competitors in one of the world's fastest sailing races prepare for battle. London's new superyacht hotel is so enormous, authorities had to lower the water level by five meters just to fit it under a bridge. What next for sailing's daredevil? His mast-walking stunts have attracted over 3.5 million hits on YouTube, but Alex Thomson just wants to get back to doing what he does best. Elizabeth Meyer talks to CNN's Mainsail about the "Armageddon battle" to restore the pioneering J-class boat Endeavour. Will 'robo-ships' be end of sailors? Ship captains of the future won't be salty sea dogs with their hand at the helm, and the ocean at their feet. Nine months at sea, one change of clothes, freeze-dried food and a strange language. Could you cope? Can a $134 million budget and the royal seal of approval bring the coveted America's Cup back to British shores for the first time in sailing history? Bored of lounging on your superyacht in the Mediterranean? An increasing number of millionaires are now sailing their luxury vessels to the ends of the Earth, to get their kicks. He's one of the great landscape artists, but JMW Turner also had a watery passion -- and his maritime travels are being retraced.